3DSA 2018 will include oral sessions of invited papers and both oral and poster sessions of contributed papers. The authors of both invited papers and contributed papers have to submit their papers via the on-line submission system. Authors submitting papers to 3DSA 2018 are required to submit electronically in PDF format a 2 page-limit summary and to fill online submission form, a 100-word abstract and to sign copyright agreement. Emailed or faxed submissions will not be accommodated. Authors must fill up required information for the manuscript, including the title of the manuscript, all authors' affiliations and contact information, presentation preference, as well as a 100-word abstract. This information must be completed in English and failure to complete in its entirety will result in an unsuccessful submission. The single column, two-page manuscript should be submitted electronically. Page size is A4 format (210 mm x 297 mm) and paragraph is typed in single-space. All content, including drawings, charts, photographs, tables, figures, and references should be within the specified two-page limit. 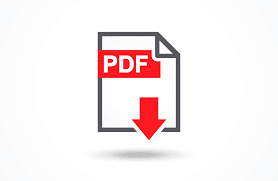 Important Information about Preparing your Paper: The quality of your PDF file is important as the paper will be published in the Conference Proceedings if accepted. Please verify carefully the quality of your manuscript for print and electronic publishing. Revisions will only be accepted up until the paper submission deadline.